With Siberian Ginseng, Rhodiola, and He Shou Wu, this WISE chocolate is the martial artist’s ultimate karate kick. 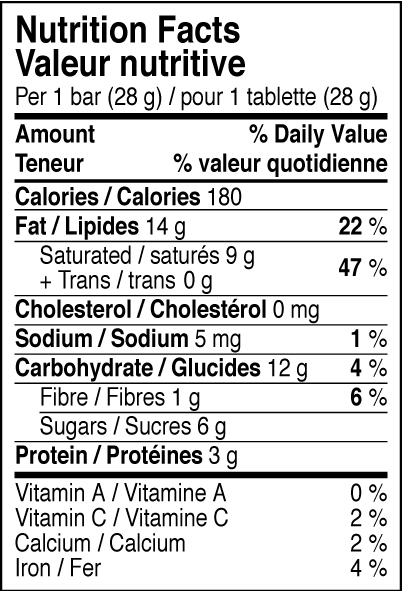 Our spicy Fire Dragon bar has been specially formulated to provide long lasting deep energy for those looking to improve their overall athletic and mental performance. We’ve paired several of the Orient’s top tonic herbs, favored famously by martial artists and athletes around the world, in a symbiotic blend that allows the body to access it’s peak potential and performance. 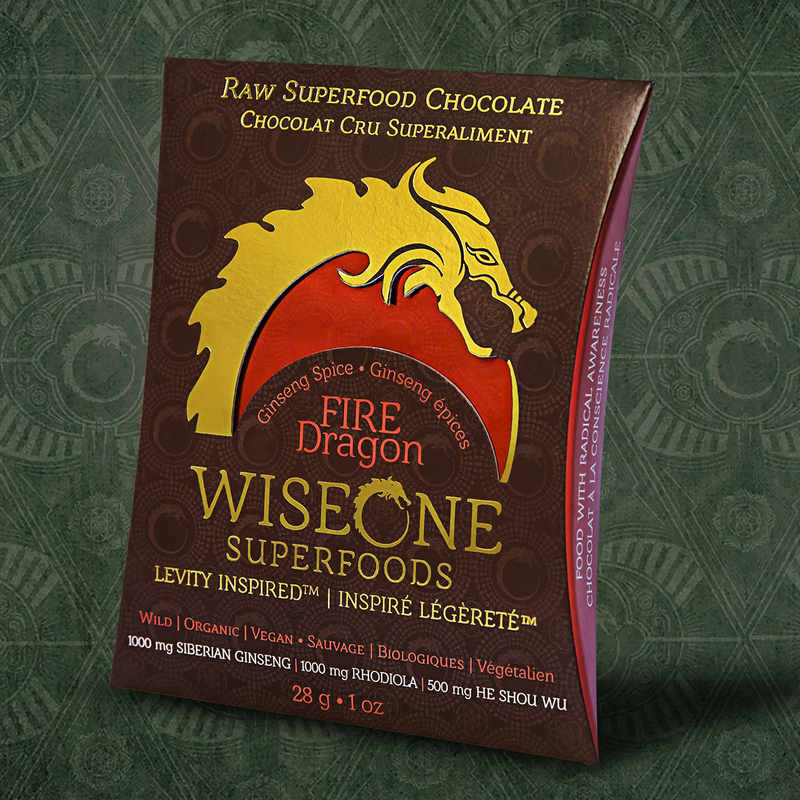 This adaptogenic chocolate delivers with it the mythical strength and power of the dragon, allowing those who indulge to experience their inner fire like never before. The Chinese call this inner fire, ‘Jing’, which is the reproductive life force energy of the human being. Our Fire Dragon is designed to expand as well as support this core ‘Jing’ energy, allowing the peak performist to reach ever-higher states of physical and mental performance, all the while ensuring longevity and youthful vitality. Fundamental in Taoist inner arts, He Shou Wu is a blood cleansing and youthening energy tonic. When growing, He Shou Wu is known to absorb enormous amounts of Qi, which in Chinese herbalism is known as life-force energy. He Shou Wu stores up all of this life-force energy and delivers it to those who venture to use this amazing herb. He Shou Wu stands for Mr. HoÕs Black Hair, and is used in China to help greying hair return to black. It is known to support the kidney and liver, improve the libido, and stabilize the back and knees. He Shou Wu is great for those wishing to restore their natural life-force energy, improve libido, and increase longevity. Is an adaptogenic energy herb; it regulates and energizes the nervous system and endocrine system, perfect for the prolonged demands of life’s celebration. Siberian Ginseng is taken from the root of a slow growing perennial plant known also as Eleuthero. It is perhaps the most popular herb amongst martial artists worldwide, used for increasing cardiovascular functions and mental and physical endurance. A wisdom-enhancing superherb, Rhodiola grows in one of the harshest environments in the world– subarctic high-altitude mountain regions above 14,700 feet. This is a highly adaptable plant, withstanding intense conditions including dramatic temperature shifts, high UV radiation, and low amounts of oxygen. Because of it’s natural adaptogenic qualities, it helps to increase central nervous system function, reducing fatigue, increasing attention span and stress handling capabilities, and significantly improving overall mental and physical performance. Rhodiola has long been considered sacred in Tibetan Herbalism for improving focus during meditation and increasing performance during exercise. Besides it’s adaptogenic qualities, Rhodiola is also known for being a powerful and safe anti-depressent, more powerful than the world’s #1 herbal anti-depressant, St. John’s Wort. It does this by targeting and minimizing the levels of the enzymes responsible for decreasing the brain’s levels of serotonin, epinephrine, and dopamine. This is an incredibly elnightening write-up. It definitely sparked my interest on quite a few things. I agree with the majority of the points and I’m presently considering the others. Thank you so much for keeping the information so engaging.